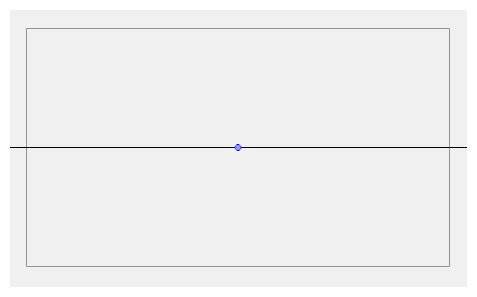 When a new guide is created, it comes with a preset horizon line and, if applicable, preset vanishing points. 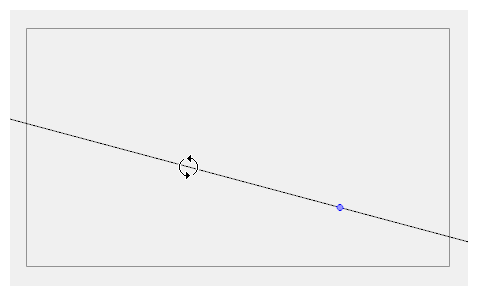 The position and angle of the horizon line as well as the position of any vanishing point in the selected guide can be adjusted visually from within your drawing space. Guides can only be edited with the Brush, Pencil, Stroke or Line tool. The selected guide will only be visible when one of these tools is selected. 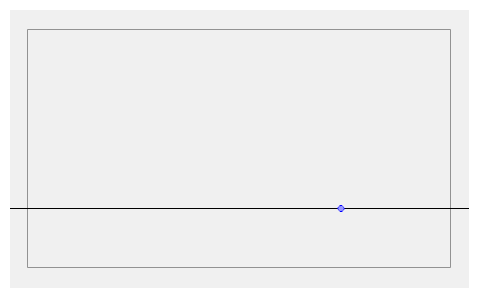 Right-click on the cell and select Drawing > Create Empty Drawing. In the Tools toolbar, select the Brush , Pencil , Stroke or Line tool. In the Guides view, select a guide to make it the active guide. Once a guide is active, its horizon line and vanishing point(s) appear in the drawing area. In the Guides view, make sure the Lock Guide option is disabled. This ensures you're able to edit the active guide. 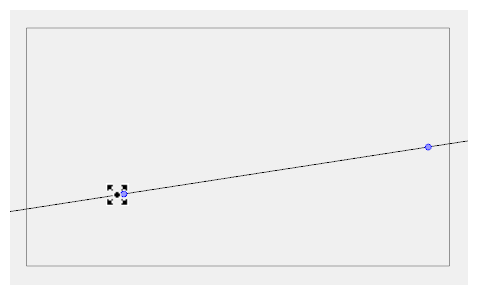 In the drawing area, zoom out until all vanishing points are visible (if necessary). In the drawing area, grab either the horizon or a vanishing point and move it to its desired location. When using the square grid or 1-point perspective guides, the angle of the horizon can be modified by manipulating the horizon line itself. When using the 2-point or 3-point perspective guides, the angle of the horizon can be modified by manipulating one of the two vanishing points on the horizon. When adjusting the horizon line, you can hold down Shift to snap the horizon line at every 15 degrees. This makes it easy to maintain a perfectly horizontal horizon. NOTEEach modification to a guide can be undone with the Undo command.